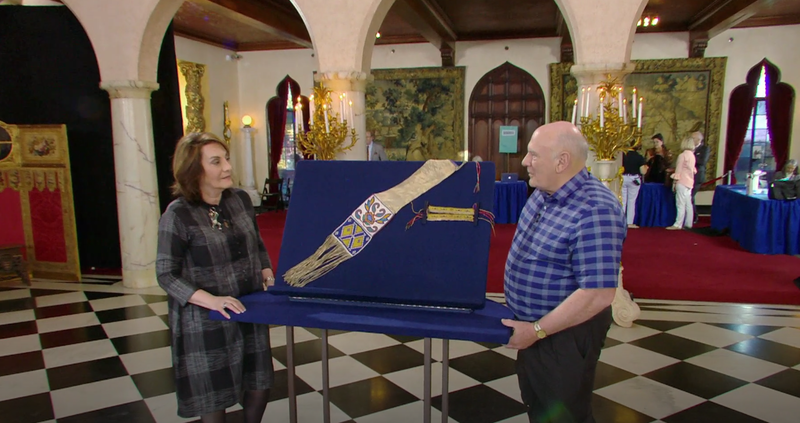 Our friends Dave Dorgan and Dan Dubriel came to the Antiques Road Show at the Ringling Museum in Sarasota. 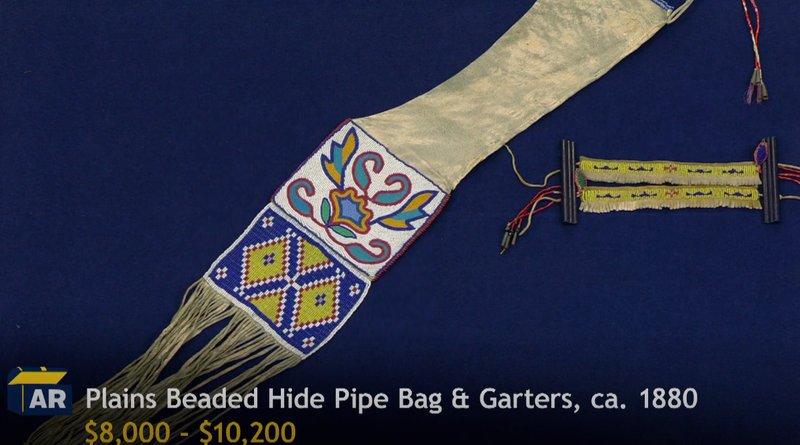 He brought with him Native American artifacts that he had purchased at auction for $67.00. Not bad. We had looked at the objects and thought they were two perfect. And they were perfect. Click the link below to watch the show. His presentation is near the end of the show. Dave also brought some Roman lamp molds that he had been given in Tunisia while he was in the Peace Corps. Also valuable. Dan took over a large Thai tapestry that we owned that we paid $20 for. They estimated it was worth $200 to $300. Left to right: Avi Eliyahu (Tel Mond Community Center Director), Liz Alpert (Sarasota Mayor), Kim Sheintal (Tel Mond Assistant City Director) and Shmuel Sisso (Tel Mond Mayor) gathered together at the Jewish Federation in November. Jenifer Romieniecki, Marie Selby Botanical Gardens, Executive Director will speak at our November 28th Luncheon at Bird Key Yacht Club about one of Sarasota’s premiere destinations for visitors and residents alike. 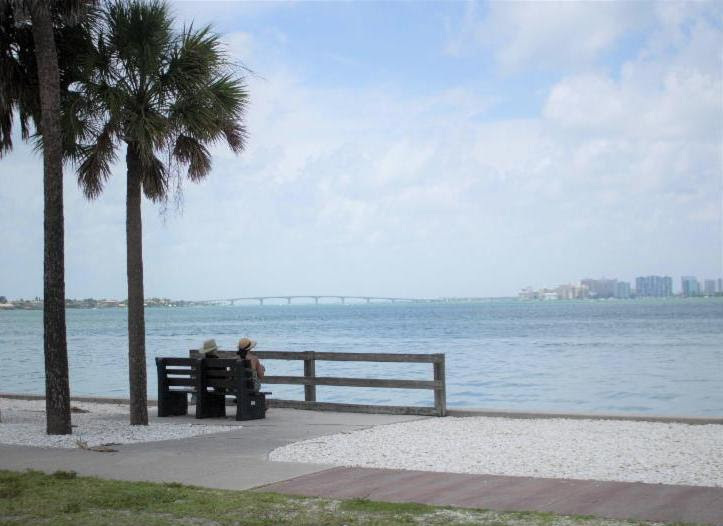 Sarasota Sister Cities is part of a nationwide organization that focuses on uniting American cities with cities around the world through common issues and activities. Although we have many activities locally, we pride ourselves on our connections with our nine Sister Cities. 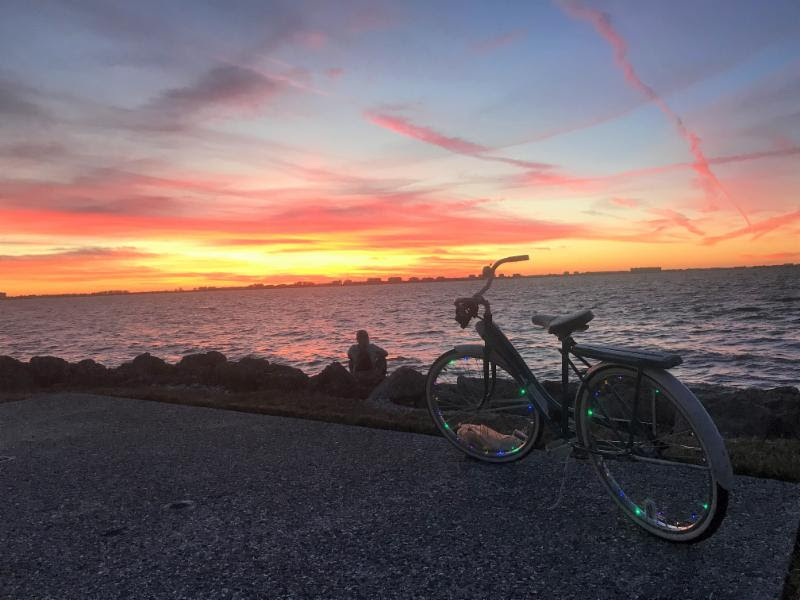 What better way to enjoy one of our world renowned sunsets than peddling to the Bayfront and relaxing waterside taking in the colorful splendor and serenity? We captured this peaceful slice of paradise adjacent to the Van Wezel Performing Arts Hall Wednesday evening just before the performance of the 3 Redneck Tenors. What a grand welcome to a New Year! Mon., January 14 - 1:30 p.m.
Wed., January 16 - 9 a.m.
Wed., January 16 - 3 p.m.
Wed., January 16 - 5:30 p.m.
Fri., January 18 - 9 a.m.
Community Survey - Open through Feb. 9 With the start of the New Year, we'd like to take the pulse of the community on a variety of issues affecting our special city. We invite you to participate in the 2019 Community Survey! we've been working toward making Sarasota the best city it can be. Although we hear from residents on specific issues regularly, this is a compilation of questions on a wide range of topics which will help guide the City's decision making process in the near future. The survey is available online and consists of 27 questions asking you to prioritize issues ranging from transportation to green space to recreation and development. 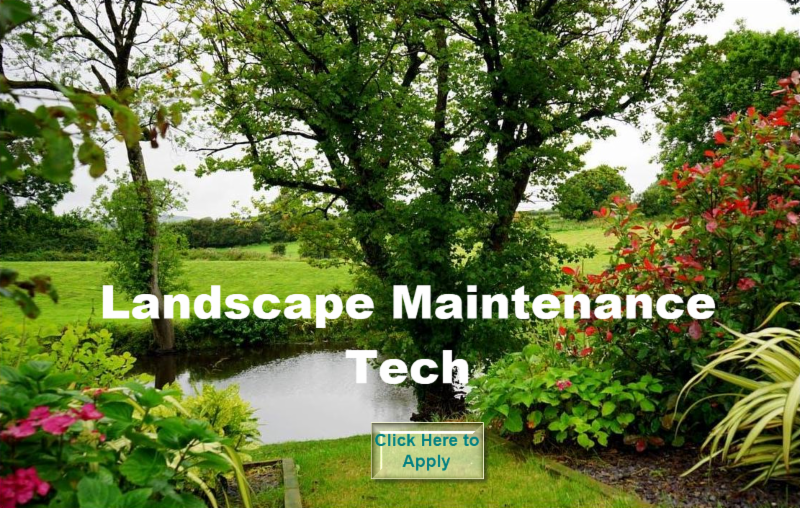 You should be able to complete the survey in about 15 minutes perhaps over a cup of tea, coffee or other preferred beverage. 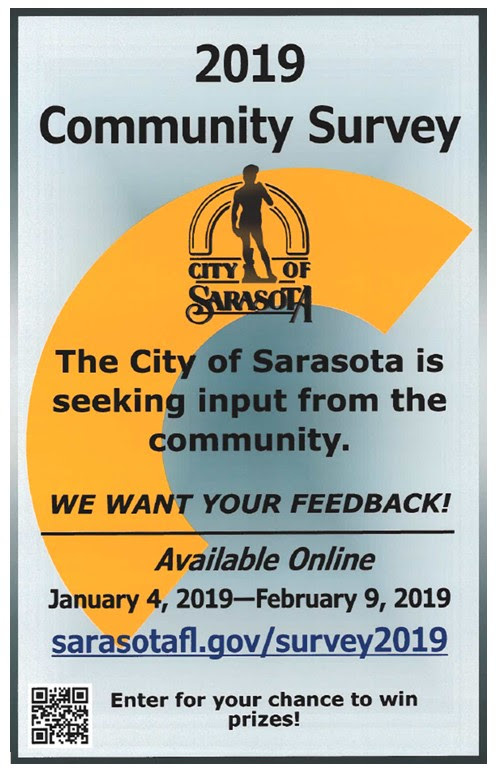 Anyone with an interest in Sarasota is invited to participate: full-time and part-time residents, business owners, visitors and those who work here. The data will be analyzed and presented to the City Commission in Spring 2019. Already, over 2,400 people have taken the survey. Have you? Bobby Jones Golf Club - Bird Count With its annual Christmas Bird Count, the local chapter of the National Audubon Society confirmed once again that our historic municipal golf course, Bobby Jones Golf Club, is an important watershed and urban refuge where an array of wildlife congregates. 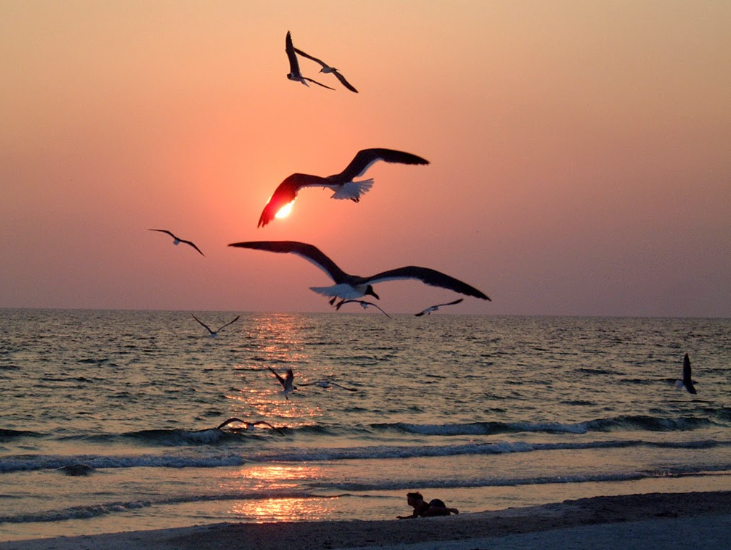 At the beginning of December, a team of three birders visited Bobby Jones twice on the same day: at sunrise then again at sunset. What did they see? A total of 45 species of birds just at Bobby Jones! Varieties included: a loggerhead shrike, bald eagle, Cooper's hawk, red-shouldered hawk, limpkin, kingfisher, kestrel, barred owl, pileated woodpecker, woodstork and osprey. The shrike was spotted on the Gillespie Executive Course with a green heron as well as a raccoon. 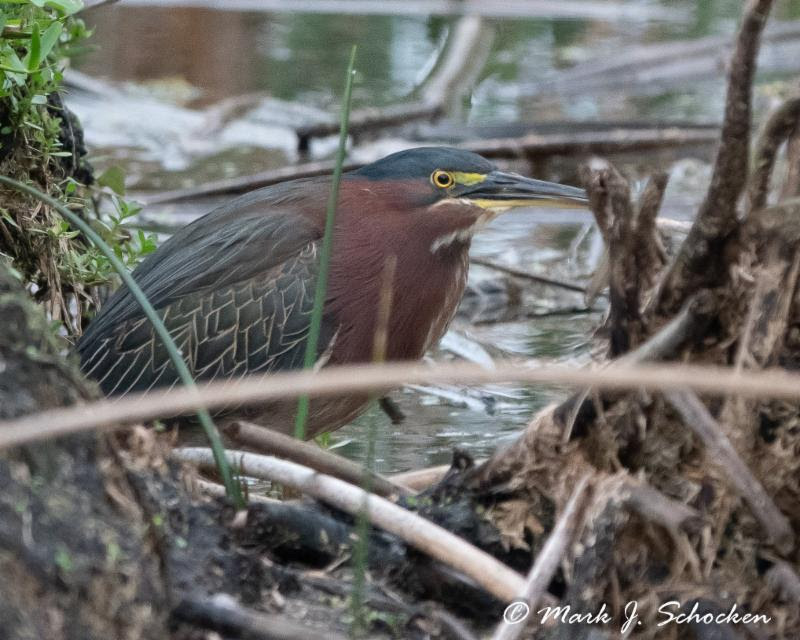 To see more incredible photos taken by Mark Schocken during the bird count at Bobby Jones please visit the City's Facebook page. Thank you to the local Audubon chapter for including this 300 acre property in their count and helping us better understand the number and variety of birds that call Bobby Jones home. 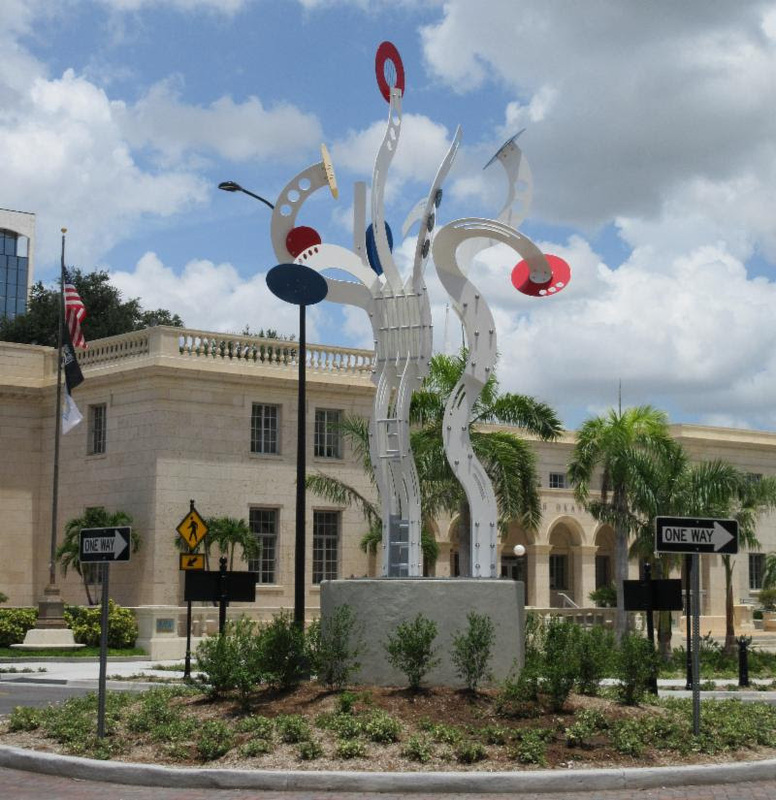 BRAVO!, the City's most recent public art addition, was installed at Ringling Blvd. & Orange Ave. in August. be placed in the roundabouts currently being built on U.S. 41 at 10th Street and 14th Street. Submissions for both pieces will be considered by the Public Art Committee with a recommendation going to the City Commission for a final decision. Since the sculptures will be placed on a State road, the Florida Department of Transportation also will review each design. The budget for each sculpture is $150,000, which will be paid for by developer payments into the Public Art fund. 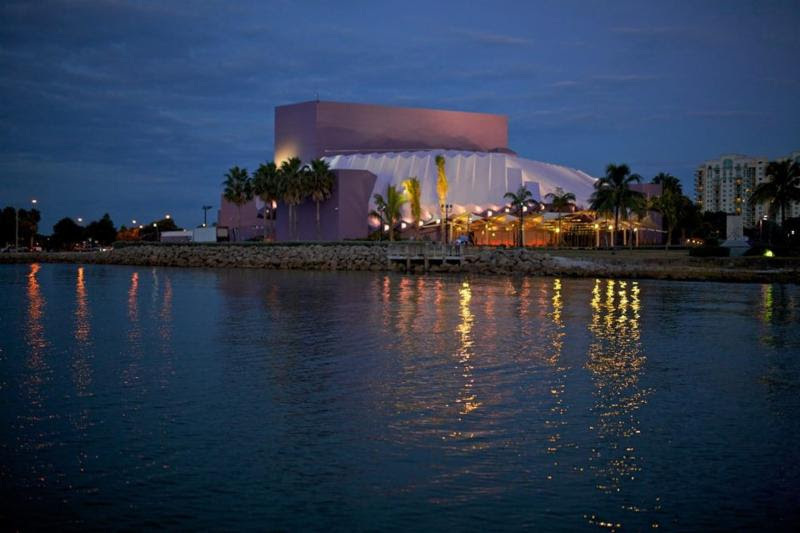 Sarasota is blessed with an active cultural arts community and many talented artists. And, we encourage qualified artists from our region to consider submitting concepts for one or both locations. 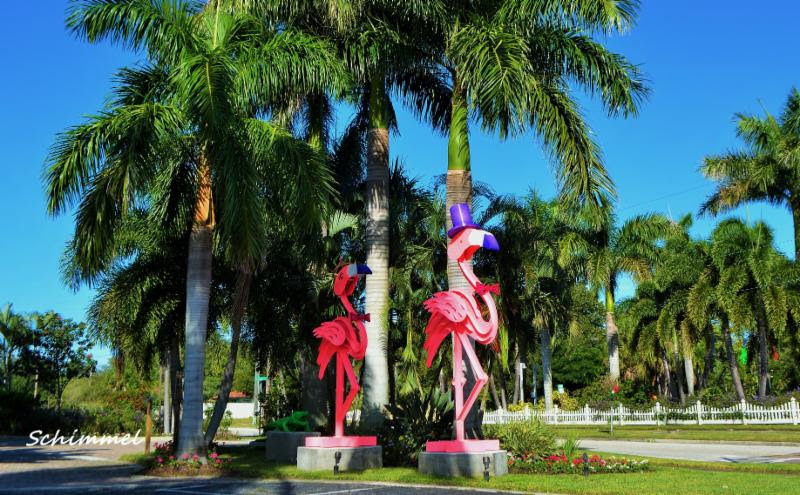 Next month, our public art collection will grow as a new sculpture called "Jumping Fish", approved by the Public Art Committee and City Commission, will be installed at the roundabout at Palm Ave. and Cocoanut Ave. Stay tuned! learn from each other on similar issues. 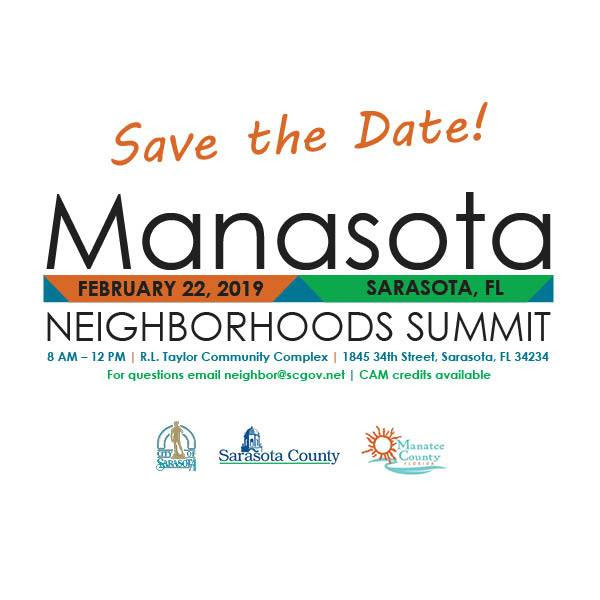 This year, the City of Sarasota is hosting the event at the Robert L. Taylor Community Complex on Fri., February 22 from 8 a.m. to noon. The inaugural summit featured discussions on best communications methods for neighborhoods, hurricane preparedness, crime prevention and Florida-friendly landscaping initiatives. Registration is $20 and available online. 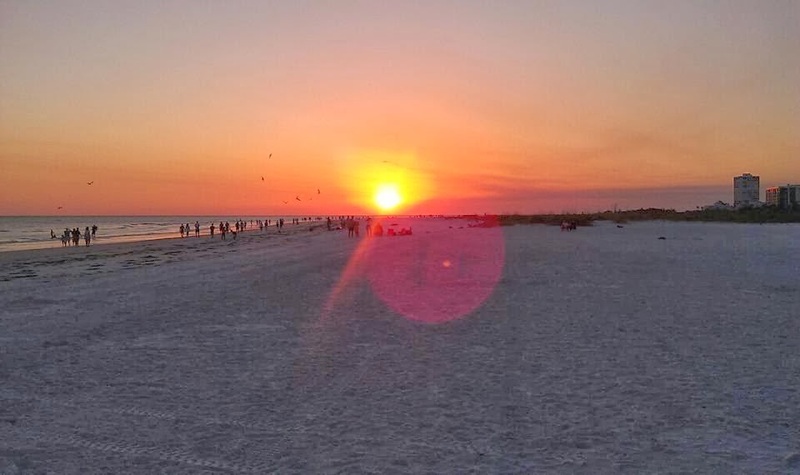 SNN City Report: Community New Year's Resolution The focus of this week's 'City Report' on SNN is a look at how we can all work together to resolve to protect the environment we love and enjoy and do our part to reduce red tide. With each of us individually doing our part, collectively we can make a difference with this significant issue. 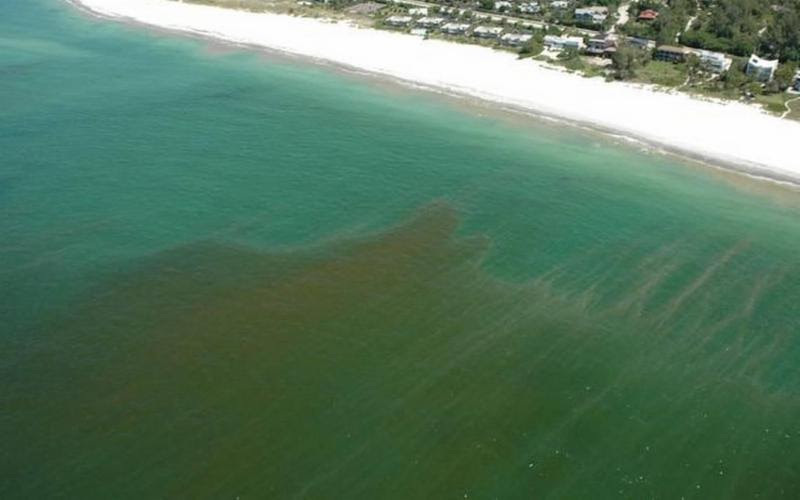 Red tide along Florida's west coast. Tune in to SNN tonight at 5 p.m. and 10 p.m. for the report or check out previous "City Report" segments online. Sun., January 13 - 7 p.m.
Tues., January 15 - 8 p.m. 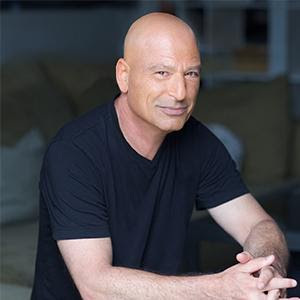 Thurs., January 17 - 8 p.m.
Tues., January 22 - 7:30 p.m.
Wed., January 23 - 8 p.m.
Fri., January 25 - 8 p.m.
Catch Howie Mandel on Jan. 23 at the Van Wezel. Sat., January 26 - 8 p.m. 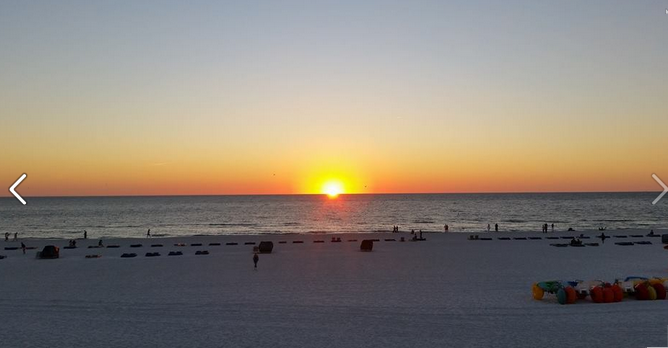 Sun., January 27 - 7 p.m. Mon., January 28 - 8 p.m.
Tues., January 29 - 7:30 p.m.
Wed., January 30 - 2 p.m. & 7:30 p.m.